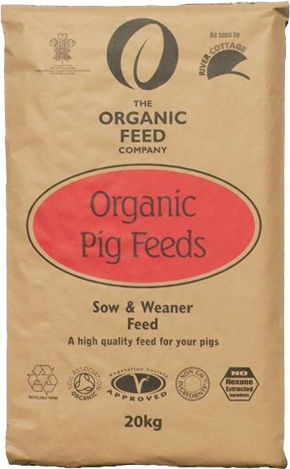 Organic Sow & Weaner Feed is a good all-round feed with enough energy for gestating or lactating sows. 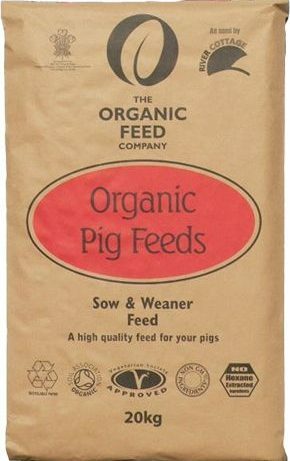 Organic Sow & Weaner feed can also be fed as a maintenance feed. After farrowing, feed about 3kg/day per sow plus an extra 0.5kg/day for every piglet over 6. Reduce to 1.5-2.0kg/day after weaning. Gilts will need about 2.5kg/day increasing to 4.0kg/day 3 weeks before serving. During gestation reduce to 2.5kg/day. Introduce a new feed gradually over 7 to 10 days to help a smooth change over. This feed should be fed with ad lib fresh water.